The Lame Stream Media does it again. 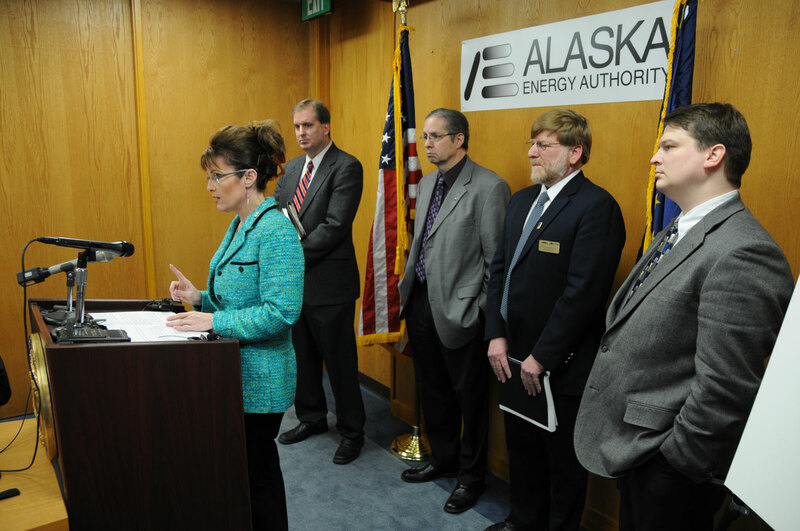 Here they go twisting what Governor Palin said to suit their own interests. The Obama administration has acted irresponsibly–and slowly–to the Gulf of Mexico oil spill. Why such a slow response to BP? I don’t know why the question isn’t asked by the mainstream media and by others if there’s any connection with the contributions made to President Obama and his administration and the support by the oil companies to the administration. Now, if this was President Bush or if this were a Republican in office who hadn’t received as much support even as President Obama has from B.P. and other oil companies, you know the mainstream media would be all over his case in terms of asking questions why the administration didn’t get in there, didn’t get in there and make sure that the regulatory agencies were doing what they were doing with the oversight to make sure that things like this don’t happen. It’s a fair point–one that needed to be raised. But who else but Governor Palin has the nerve to throw it on the table? Notice, however, the inability–once again–to correctly report what she said. Instead of posing her question to the Obama administration, the response is to prove that Republicans have received more money from the oil and gas industries than Obama. But that isn’t the issue, is it? Of course not, and they would know that isn’t the issue–if they would listen. Governor Palin didn’t dispute the fact that McCain received more from the oil and gas industries in the whole than did Obama. This disaster was not caused by the oil and gas industries, but by BP and BP alone, and it is from BP alone that Obama received the biggest chunk of all their political contributions. It is reasonable to demand questions be asked about the coziness of the Obama administration to BP. My advice to the media: be responsible, listen carefully, take notes, and tell the truth. This video posted by Sheya sums it up well. Governor Palin appeared on Fox News Sunday with Chris Wallace to discuss Rand Paul, oil drilling and the the November 2010 mid-term elections. The broadcast re-aired several times today. Gov. 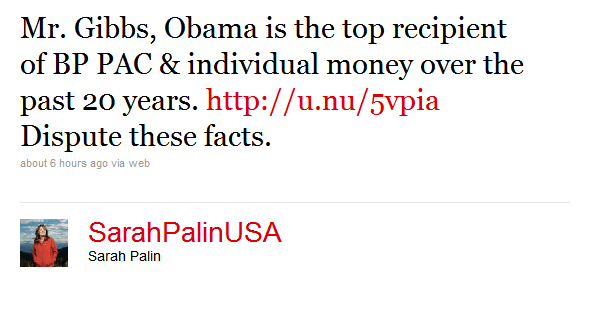 Palin continued that Paul was in an interview with someone who may have had an agenda. He is a libertarian conservative, and was discussing the impacts of the Civil Rights Act on the Constitution, but Gov. Palin reiterated that he supports civil rights and that legislation. Wallace asked, “Having said all that Governor, Rand Paul is a strong libertarian and even some conservatives have doubts about some of his positions,” which Wallace then listed on screen. Paul wants Guantanamo Bay closed, the Patriot Act repealed, the Department of Education abolished, and subsidies to farmers ended, according to Wallace. “Does he carry his political philosophy too far? Shouldn’t he tone it down especially in a campaign for the US Senate,” Wallace asked. the Senate – should ask questions about the Constitutionality of policies that are proposed,” she said. Wallace changed the subject to the Gulf of Mexico oil spill. “Millions of gallons of oil are continuing to spill into the Gulf of Mexico. You, of course are a big supporter of off-shore drilling. You popularized the term, ‘drill baby drill.’ Does this disaster give you any pause, Governor?” he asked. “Alaska has been through that. I’ve lived and worked through that Exxon Valdez oil spill. I know what it takes to hold these oil companies accountable and we need to see more of that, but we are still reliant on petroleum products, and oil and gas, and I’m a supporter of off-shore drilling, but also on-shore drilling. Maybe this is a lesson too for those who opposed safe domestic supplies being extracted on our shores and on the land like in ANWR and other areas of Alaska. Let us drill there where it is even safer than way off shore. Wallace noted that Gov. 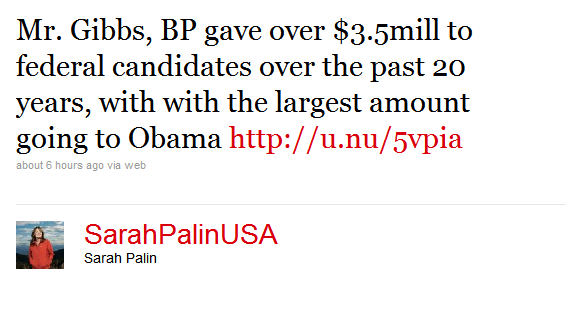 Palin did go after the oil companies including BP during her administration and asked how she thought the Obama administration is handling the spill. Wallace asked if the the talk of a big GOP sweep in November is “overblown” given that a Democrat beat a Republican in PA-12. Gov. Palin said Ann Coulter wrote an excellent piece in which she said Republicans have to work hard if they want to win these mid-term elections and cannot assume that they just will. “It could be you,” he responded. “As I’ve always said, I’m not going to close any door that might be open, but this is not about me. I really appreciate the platform I’ve been given, the opportunities to be out there speaking to these good, hard-working average, everyday patriotic Americans who want to see the positive change they deserve,” she concluded. It is my belief that you are being summoned to serve….our vigil is posted 24 hours a day, seven days a week, 365 days a year. You are the leader we want. 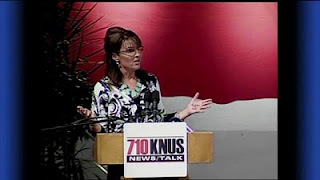 Last night, Governor Palin spoke at a 710KNUS event in Denver, Colorado. The Governor hit hard on issues such as Obamacare, Arizona’s anti-illegal immigration fight, Obama’s dangerous habit of alienating our allies, and taking back Congress in November. In fact, on that last point, she coined a phrase I had not previously heard her say: palm-worthy. The Left tried to make a big deal of her writing on her hand at the Nashville Tea Party Convention in February, but she has embraced that practice and has proven that what the Left intends for evil against her only offers her yet another means of connecting with the American people. When commenting on the November mid-term elections, she quoted a sign she recently saw and called the content of that sign palm-worthy. The sign read, “I can see November from my house!” Indeed those words are palm-worthy, for indeed we see November in the distance–and we like what we see. We need to usher in a stampede of pink elephants or mama grizzlies in the 2010 elections. I listened to the speech. Not only did she not say that, she didn’t say anything that could remotely be mistaken for that. These people have too much time on their hands or the voices in their heads are speaking so loudly they cannot discern those voices from hers. My advice to the media: be responsible, listen carefully, take notes, and tell the truth. Now that, too, is palm-worthy! After Governor Palin spoke, she and the two other panelists participated in a question-answer period and tackled a range of issues. It’s good patriotic conversation, so be sure to listen until the end. Governor Palin spoke to a crowd of 6000 at the Magness Arena in Denver, Colorado last night. The event was a fundraiser for the Susan B. Anthony List, a pro-life group, and was sponsored by local 710 KNUS radio. Republicans from all around the state and some from as far as the East coast came to the University of Denver to hear former vice presidential candidate, Sarah Palin. Many say she brings energy to the GOP. “I’m excited to hear her speak, two years ago I got license plates that say Palin 12,” said Shari Walker. Walker is from Maryland. She attended “An Evening with Sarah Palin” with her two-week old granddaughter in tow. Baby Mia may be the youngest person out of about 6,000 in Magness Arena, but Walker says she represents what the former Alaskan governor is about. Palin greeted the audience saying she was happy to talk in a hockey arena because it made her feel at home. She says she might have to root for the Denver Broncos after the football team drafted “a fellow outspoken Christian” in the form of Tim Tebow, quarterback from the University of Florida. Palin wants her party to take the country back. “Folks, we’re living in a time when the Federal government seems to be overreaching into everything whether it’s constitutional or not,” said Palin. Walker says she hopes things change, at the very least, for her grandaughter’s sake. Blending self-deprecation, a tribute to Ronald Reagan and zany one-liners, Palin ripped President Barack Obama’s foreign policy, saying he “bows and kowtows to foreign regimes” and called the freshly passed health care reform law an attempt to drive the country toward socialism. Much of Palin’s speech was in the form of a hypothetical conversation she would have with Obama. She says the administration has been on an “apology tour” with countries around the world, and she criticized Obama for not prioritizing building a wall on the border with Mexico. She said the newly passed Arizona immigration reform bill was within the state’s right to take action. Palin said the new health care law will lead to health care rationing and is already driving doctors out of the profession. 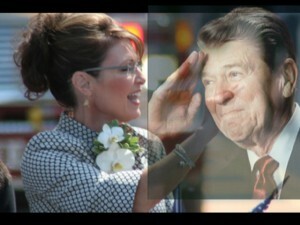 Palin concluded her speech with a tribute to Reagan. She compared his foreign policy with Obama’s, saying the president needed to stop “apologizing” to foreign countries — most recently to China. She warned that “Reagan is still spying” down on us. She spoke for 45 minutes and then participated in a 20-minute question-and-answer session with emcee Bill Armstrong, a former Colorado senator, and national radio talk show hosts Dennis Prager and Hugh Hewitt. Palin’s Denver speech came hours after Colorado Republicans wrapped up their state assembly in Loveland, but the former Alaska governor didn’t directly speak on any Colorado races. She has been complimentary of Republican Senate candidate Jane Norton, who bypassed the assembly in favor of petitioning on to the ballot, leading to speculation that she might endorse Norton on Saturday night. But that didn’t happen. Both Norton and Weld County District Attorney Ken Buck, the only Senate candidate nominated at the assembly, attended Palin’s speech. She focused her criticism on Obama, including the new health-care law. “So we have lesser-quality of care, fewer choices, higher costs, fewer doctors and bureaucrats making medical decisions. And the IRS just waiting in the wings to fine you, to penalize you, if you don’t purchase their government health insurance,” she said. Gov. Palin has been on a nationwide whirlwind speaking and campaigning circuit, drawing crowds of thousands to hear her carrying Reagan’s torch. Last night’s Denver, CO speech was an “Evening with Sarah Palin” event, and on Friday, Gov. Palin stumped for Vaughn Ward in Boise, ID. Gov. Palin delivered a 46-minute speech on Reagan Conservative values followed by 30 minutes of questions and answers. Her speech focused mainly on the strength of Reagan’s policies and how they are timeless. Gov. 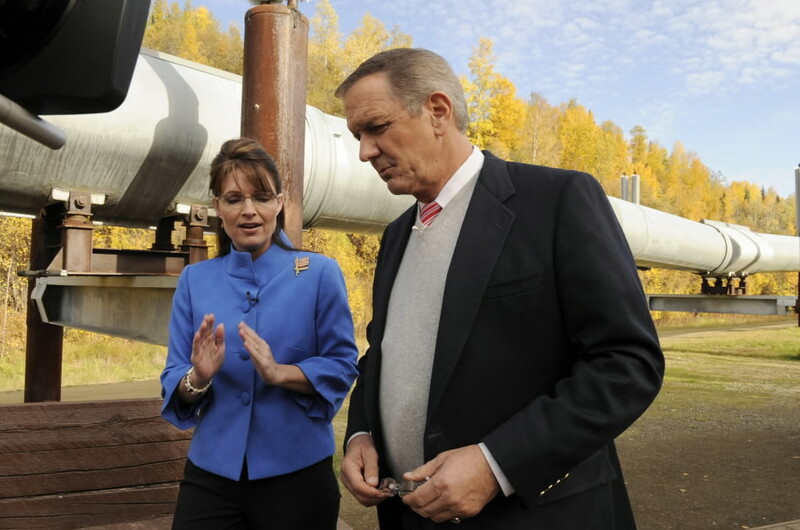 Palin campaigned for Vaughn Ward, who is running for a Congressional seat on Friday, May 21, 2010 in Boise, ID. This video is a partial capture of Gov. Palin’s stumping speech.